This is pretty cool. 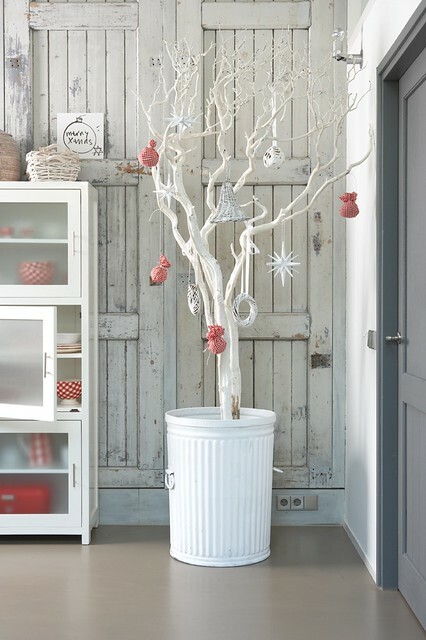 Quite an urban tree that you can still decorate as you like. 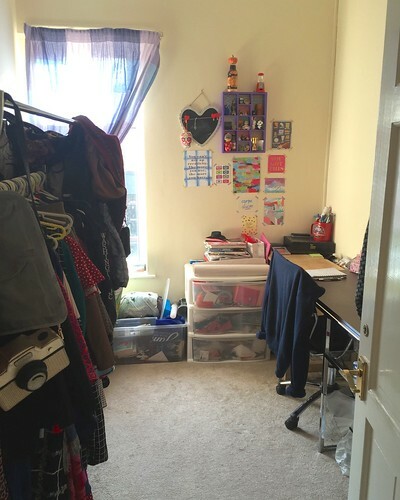 Though probably not for us judging by the state of the boxes we have in the spare room, I don’t think it would last long in our house. Naughty kitties. 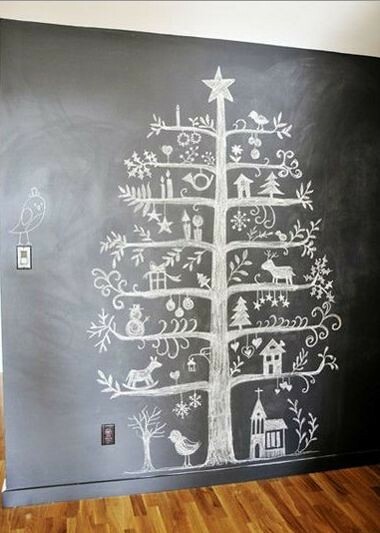 Since I’ve been wanting a chalkboard wall for years now, I will definitely be doing this as a secondary “tree” next year. It’s great how you can make every year different without spending a penny. Thrifty! This is great for a space saver and something I may actually consider doing – though maybe on some plywood instead of on the wall. I like how it still lets you use all your usual tree decorations. 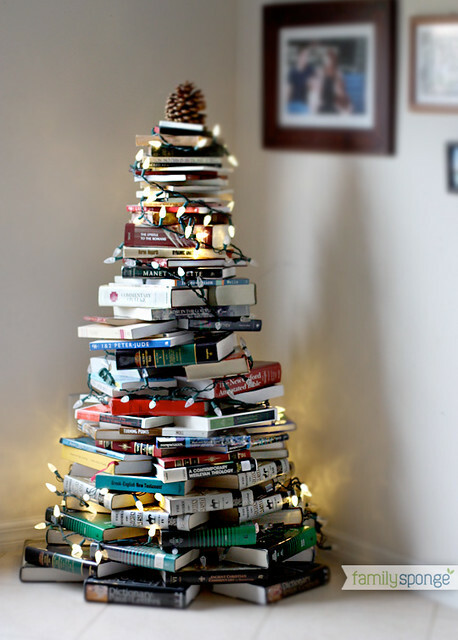 I love the simplicity of this and it’s the closest we could get to an actual tree. Of course we would need to get a fake one but I love how elegant it looks! 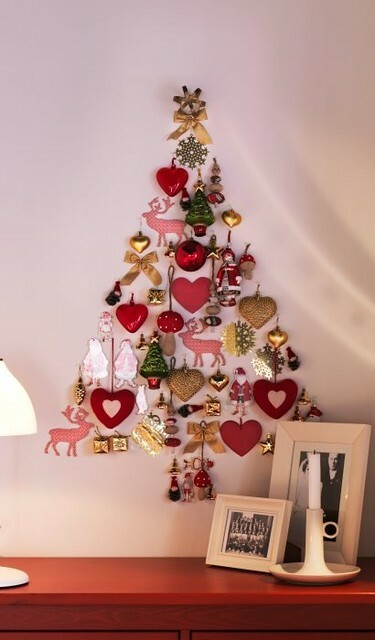 I think it’s a bit late this year to be messing around with a new tree but I will definitely be using some of these ideas next year. 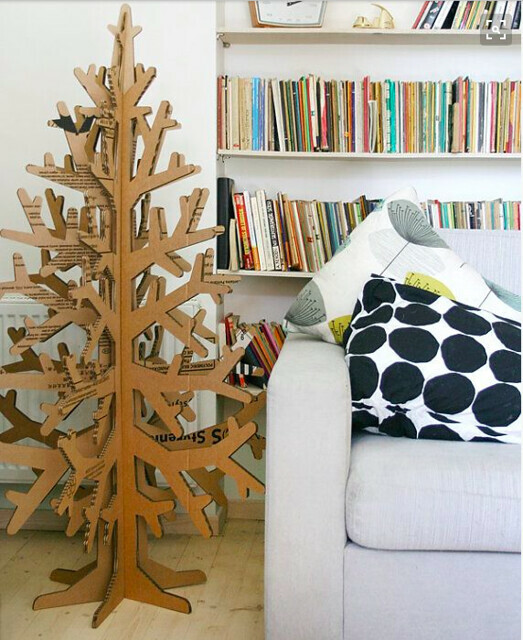 Do you have a traditional tree?